Maybe the Michelin boy likes the way he looks, but the rest of us are usually not pleased to have folds of excess skin and fat in our abdomen. These folds are unsightly, and finding attractive clothing (especially bathing suits and other form-fitting outfits) is challenging and often frustrating. The folds are bulky and uncomfortable, and may cause rashes and irritation. These folds usually occur when patients gain and then lose a lot of weight. This frequently occurs with pregnancies or with obesity reversed by diet and exercise programs or after bariatric surgery. All tummy tucks involve removal of the excess skin. Usually, the “nip and tuck” results in a scar along the lower abdomen and around the belly button. The lower abdominal scars vary in length. The longer the scar, the more skin that can be removed. Sometimes, scars proceed completely around the lower abdomen and back. Needless to say, this results in tightening not only the abdominal, but also the flank, the lower back, and the buttock skin. Some tummy tucks also include removal of excess fat. My personal preference is to remove the excess fat of the center of the abdomen surgically, and the excess fat of the sides with liposuction. I have found that this results in the smoothest, most accurate and effective contouring and reduction of the fat. Often, tummy tucks also involve bringing the muscles in the center of the abdomen closer together. These muscles are separated as a result of surgical procedures cause scarring and stretching between the muscles, or when a developing baby pushes on the muscles. Where do you perform the tummy tuck surgery? I do all of my tummy tucks at the Aspen Surgery Center affiliated with John Muir Hospital. This is a modern, nurturing, well-staffed and well-equipped surgery center. The Aspen Surgery Center also provides an excellent value regarding costs compared with other top-quality facilities in Contra Costa and Alameda counties. Tummy tuck surgery is performed under general anesthesia (patients are completely asleep). This provides the greatest degree of comfort and safety. I usually have worked with the anesthesiologists, the surgical techs, and the nurses for many years, and we work well together as a team. They are gentle, professional and very experienced. 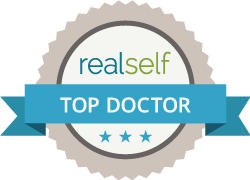 How is a tummy tuck procedure performed? The folds of skin are usually removed through an incision in the lower abdomen. Occasionally, a “reverse” abdominoplasty is performed, with the scar under and between the breasts. In either procedure, the skin and fat are lifted over the abdominal muscles. This allows the folds to be redraped smoothly and effectively. An incision is made around the belly button (it is kept attached to the underlying muscle layer), so the belly button does not get pulled into the wrong position. The excess skin is removed as an ellipse. The excess fat is removed with liposuction or with a scissors. If the muscles have been spread apart, they are sutured together (this provides a natural corset that enhances the abdomen’s shape). Repair is then performed with several layers of sutures for optimal healing. What is the healing course like after a tummy tuck? I have my patients wear a custom girdle for 2-3 weeks. Bruising in the center of the abdomen usually lasts 1-2 weeks. Liposuctioned areas often have bruising for about 3 weeks. Sutures are dissolvable and do not need to be removed. There is usually a mild to moderate degree of pain in the center of the tummy. Liposuctioned areas in the sides of the abdomen have a moderate amount of pain. The pain decreases considerably in 7-10 days. Frequently, patients go home the same day as the surgery. Others spend the afternoon and night in the surgery center. Patients may walk starting the afternoon of surgery. They may shower starting two days after surgery. Most patients return to work (without heavy lifting) in 2-2 ½ weeks. Heavy lifting and a full exercise routine is advisable starting 4-6 months after surgery. Unsightly scarring is the most common undesirable result. Fortunately, the long scar is hidden by most clothing. The belly button may be positioned a little off center, blood or serum may collect under the fat and above the muscle layer, infection or loss of skin and fat may occur. Very uncommon complications include blood clots forming in the leg veins that may travel to the lungs and cause breathing problems (deep vein thrombosis or pulmonary emboli). Compression devices that massage the calves, special positioning, anticoagulant medications and limiting the time of surgery reduce the risk of these complications. What are the results of a tummy tuck? Tummy tucks provide individuals with firmer and flatter abdomens that are more proportionate to the shape of the rest of the body. I try to make sure that each tummy tuck is designed to the unique shape and goals of each patient.